Kyunki Saas Bhi Kabhi Bahu Thi. 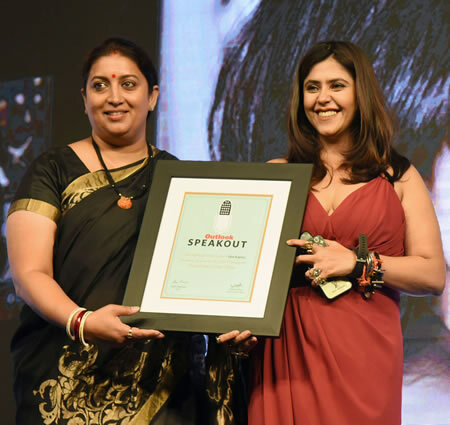 India's Minister for Textiles, Smriti Irani, addresses "Outlook SpeakOut 2018"
Photo: India’s Minister for Textiles, Smriti Irani, addressing Outlook Magazine’s “Outlook SpeakOut 2018” Programme, in New Delhi on September 28, 2018. 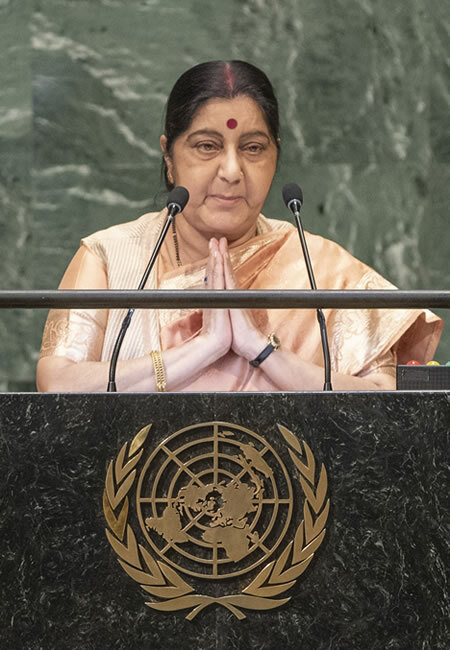 Photo: Sushma Swaraj, Minister for External Affairs of the Republic of India, addresses the General Debate of the UN General Assembly’s Seventy-third Session. 29 September 2018. United Nations, New York. UN Photo/Cia Pak. Photo: Prime Minister Narendra Modi addressing at the inauguration of the Conference on Academic Leadership on Education for Resurgence, in New Delhi on September 29, 2018. 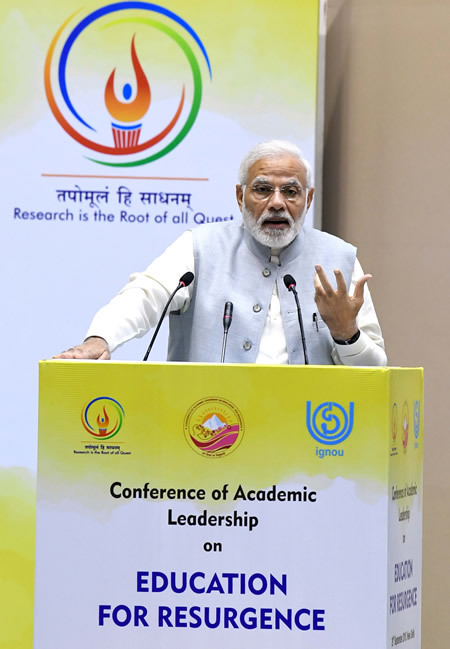 New Delhi, 29 September 2018 — Prime Minister Narendra Modi today addressed a Conference on Academic Leadership on Education for Resurgence, in New Delhi, in which the Vice-Chancellors and Directors from more than 350 universities in India participated. Mr, Modi said that when one thinks of resurgence or revival, the first image that comes to mind is of Swami Vivekananda, who presented before the world, the strength of Indian thought. The Prime Minister recalled Swami Vivekananda’s emphasis on self-reliance, character building, and human values, as elements of education. The Prime Minister said innovation is another vital element of culture today. Recalling the ancient Indian texts, the Vedas, the Prime Minister said that we could not imagine our society, our country, and even our lives, without knowledge. He said that our ancient universities such as Taxila, Nalanda, and Vikramshila, gave importance to innovation, besides knowledge. Narendra Modi said that today, no country or person could live in isolation. He mentioned the importance of thinking concerning ‘global citizen’ or ‘global village.’ He said our Universities and Colleges should be leveraged to find solutions to the challenges facing us. We should “Interlink Institutions to Innovate and Incubate,” he added. Photos: Guests attend the Roger Vivier Presentation Spring/Summer 2019 during Paris Fashion Week on September 27, 2018, in Paris, France. Photographer Francois Durand. Copyright © 2018 Getty Images. Images provided by Roger Vivier. Photo: (L to R) Gherardo Felloni and Ines de la Fressange attend the Roger Vivier Presentation Spring/Summer 2019 during Paris Fashion Week on September 27, 2018, in Paris, France. Photographer Francois Durand. Copyright © 2018 Getty Images. Image provided by Roger Vivier. Photo: Olivia Palermo attends the Roger Vivier Presentation Spring/Summer 2019 during Paris Fashion Week on September 27, 2018, in Paris, France. Photographer Francois Durand. Copyright © 2018 Getty Images. Image provided by Roger Vivier. Photo: Gherardo Felloni and a guest attend the Roger Vivier Presentation Spring/Summer 2019 during Paris Fashion Week on September 27, 2018, in Paris, France. Photographer Francois Durand. Copyright © 2018 Getty Images. Image provided by Roger Vivier. 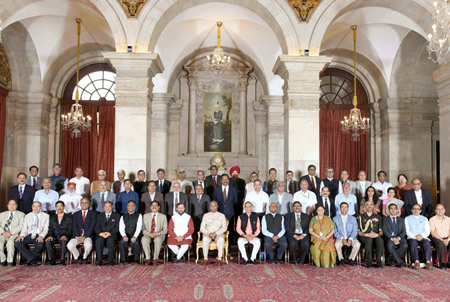 New Delhi, September 28, 2018 — A “Conference on Academic Leadership on Education for Resurgence” is being organized on 29th September 2018 in Vigyan Bhawan, New Delhi, in which the Vice-Chancellors and Directors from more than 350 universities are participating. The theme of the Conference is to deliberate on the challenges facing the Indian education system and to work out a plan for a paradigm shift both regarding achieving academic outcomes and the regulation of education. Improving pedagogy for learner-centric education - use of artificial intelligence for customized learning. From job seeking to job-creating - enhancing innovation and entrepreneurship. Improving the quality of research - focus on requirements of India. Bringing synergy among educational institutions - pooling of academic resources like sharing of libraries and exchange of knowledge. Building inclusive and integrated campuses - taking up activities which could bring emotional attachments of students to the school. Participatory Governance models - facilitating the participation of students in governance processes. Building robust financial models - supplementing Government resources by getting funds from alumni and also from corporate (CSR). Promoting value education by developing universal values and life skills. Prakash Javadekar, Minister for Human Resource Development, will chair the valedictory session, in which each of the eight groups will make the presentation on their opinion on the best course of action. It will be debated further in the Plenary Session to arrive at a comprehensive action plan for the advancement of higher education in India. 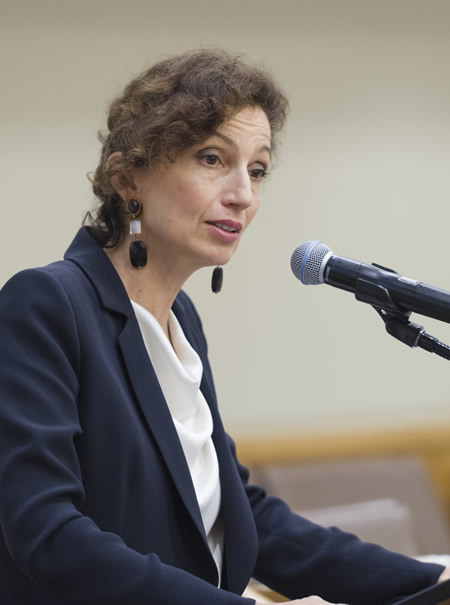 Photo: Audrey Azoulay, Director General of the United Nations Educational, Scientific and Cultural Organization (UNESCO), addresses an event titled “12 years to break barriers and leave no girl behind: Countdown to 2030”. The governments of Canada, France, Kenya, Mali, Niger, and the United Kingdom had convened the event on the sidelines of the general debate of the seventy-third session of the UN General Assembly. 25 September 2018. United Nations, New York. UN Photo/Rick Bajornas. 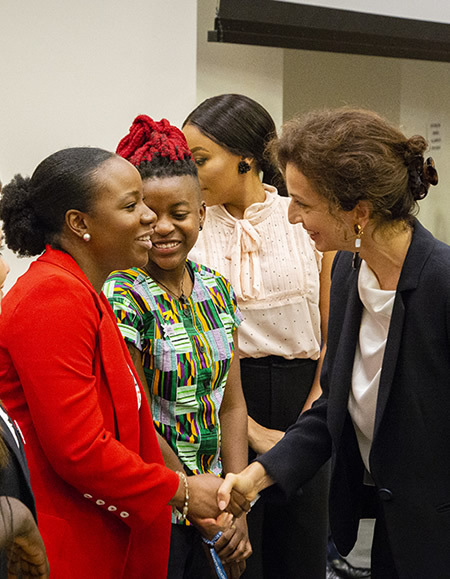 Photos: UNESCO Director-General, Audrey Azoulay, meets with participants at the event “12 Years to Break Barriers and Leave No Girl Behind: Countdown to 2030”. New York, 25 September 2018. Image provided by & Copyright © UNESCO/J.Sheakovski. 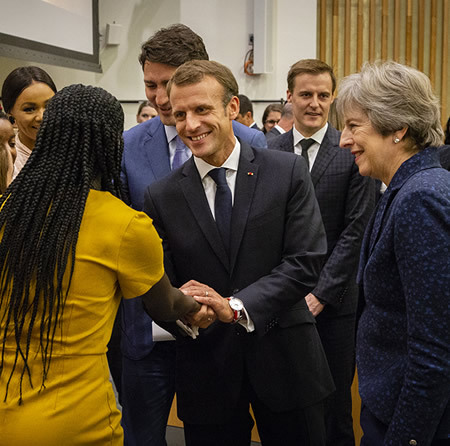 Photo: French President, Emmanuel Macron, meets with participants at the event “12 Years to Break Barriers and Leave No Girl Behind: Countdown to 2030”. Justin Trudeau, Prime Minister of Canada, and Teresa May, Prime Minister of the United Kingdom, are also seen. New York, 25 September 2018. Image provided by & Copyright © UNESCO/J.Sheakovski. The event gave focus to the urgent need for countries to work together for the 132 million girls that are not in school today. 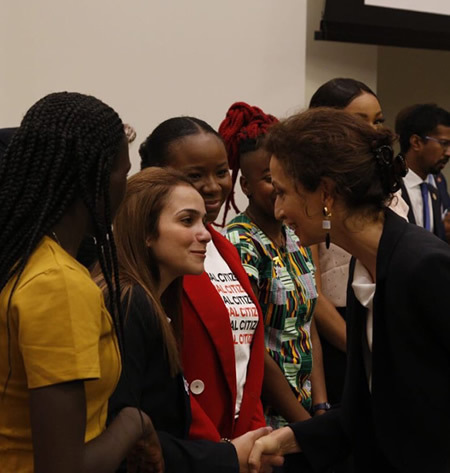 It featured three-panel discussions which underscored the determination to do more for the education of girls in conflict and crisis-affected countries. 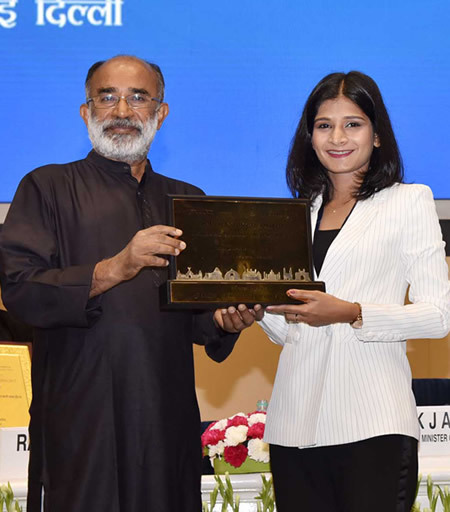 Photos: India’s Minister for Tourism, Alphons Kannanthanam, presenting the National Tourism Awards (2016-17), at a function, on the occasion of World Tourism Day, organized by the Ministry of Tourism, in New Delhi on September 27, 2018. 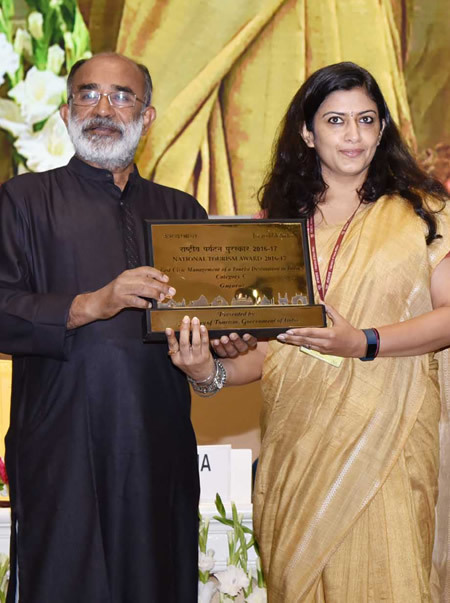 Photo: The Secretary, India Ministry of Tourism, Rashmi Verma, presenting the National Tourism Awards (2016-17), at a function, on the occasion of World Tourism Day, organized by the Ministry of Tourism, in New Delhi on September 27, 2018. New Delhi, September 27, 2018 — India’s Minister for Tourism, K.J. 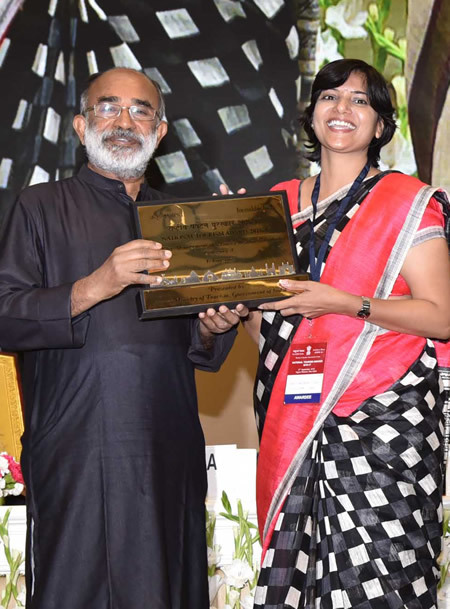 Alphons, presented the National Tourism Awards 2016-17 on the World Tourism Day, in New Delhi, today. The Minister also launched the ‘Incredible India Mobile App’ and the “Incredible India Tourist Facilitators Certification” programme. The Tourism Minister said that India had taken great strides forward in the field of tourism during the last four years. He added that tourism, today, is the cornerstone of the Indian economy and a significant source of employment and foreign exchange. The industry has to join hands to tap the full potential of the tourism sector. The Minister also announced that India would be the host country for official World Tourism Day celebrations for the UNWTO, in 2019. The theme for the World Tourism Day 2018 being “Tourism & Digital Transformation”, the Minister recounted the various digital initiatives taken by the Ministry in harnessing technology for tourism promotion, which includes, launch of a new Incredible India website; 24 X7 Chatbot interface on this website; and launch of a new site on Buddhism in India. The Minister also said that the Ministry of Tourism has formulated a voluntary scheme for Approval of Operational Motels, with effect from 25th September 2018 with the aim of recognizing the Motel segment as a component of the overall tourism product, and set standards of facilities and services of Motels. 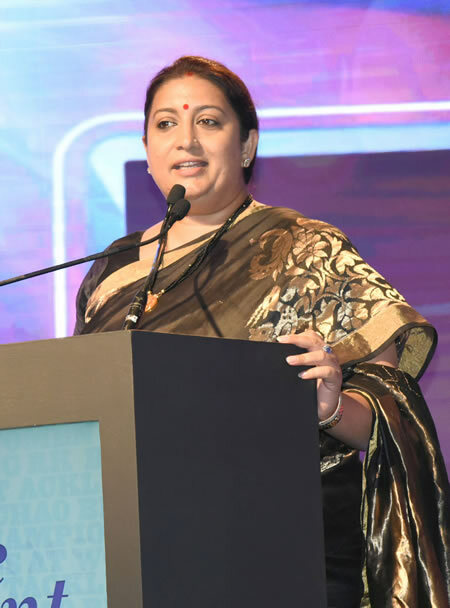 The Union Tourism Secretary, Rashmi Verma, said that in the last four years, India has aggressively implemented its promotion strategies in branding, advertising, and selling off its tourism potentials. The Ministry of Tourism annually presents National Tourism Awards to various segments of the travel, tourism and hospitality industry. 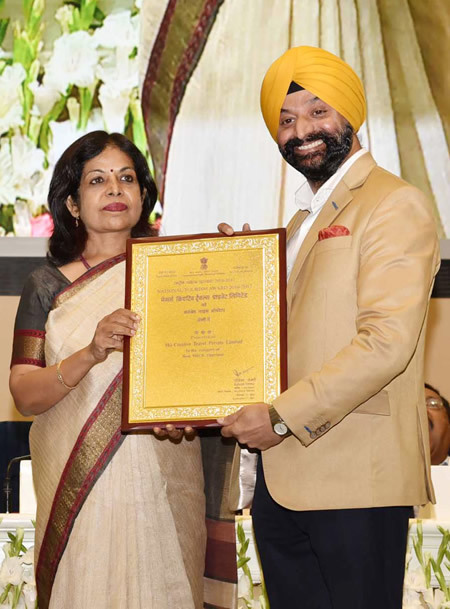 The Tourism Ministry presents these awards to State Governments, Union Territories, classified hotels, heritage hotels, approved travel agents, tour operators, tourist transport operators, individuals, and other private organizations, in recognition of their performance in their respective fields. 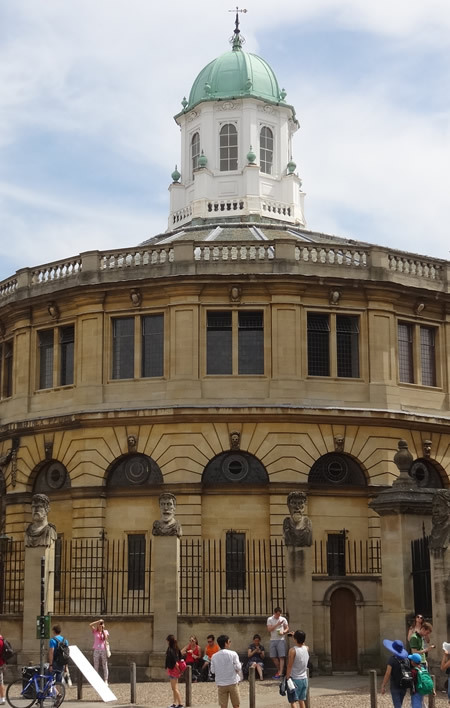 Photo: Sheldonian Theatre (built in 1668), University of Oxford. The University of Oxford tops Times Higher Education’s this year’s list of the best universities in the world. (Image Credit: Harry NL). LONDON — Times Higher Education (THE) today announced its World University Rankings 2019, which includes more than 1,250 universities, making it THE’s biggest international league table to date. This global universities performance table judges research-intensive universities across all of their core missions: teaching, research, knowledge transfer and international outlook. “We use 13 carefully calibrated performance indicators to provide the most comprehensive and balanced comparisons, trusted by students, academics, university leaders, industry and governments,” Times Higher Education said after the announcement. • The University of Oxford and the University of Cambridge lead this year’s list of the best universities in the world. Tsinghua University is now the top university in Asia, after rising eight places to 22nd, becoming the first Chinese institution to lead the continent under the current methodology. France has a top 50 university for the first time since 2011, while several leading universities in Italy, Spain, and Canada have risen. Overall, 86 countries are represented, including Iraq, Jamaica, Nepal, Tanzania, and Kazakhstan for the first time. 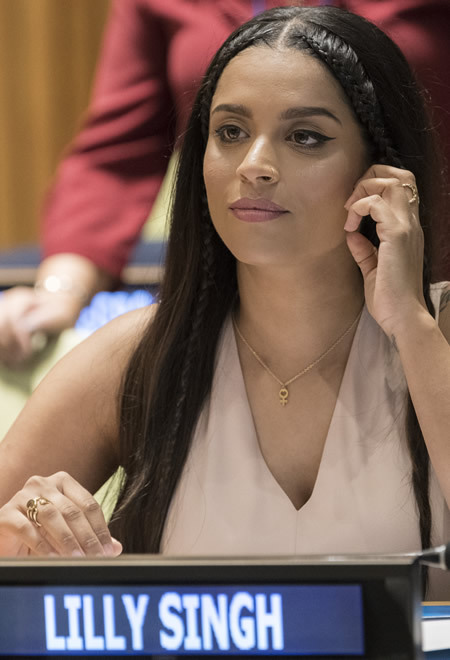 Photo: Lilly Singh, UNICEF Goodwill Ambassador, attends the high-level event on Youth2030, to launch the United Nations Youth Strategy and the Generation Unlimited Partnership organized by the United Nations Children’s Fund (UNICEF). 24 September 2018. United Nations, New York. UN Photo/Mark Garten. 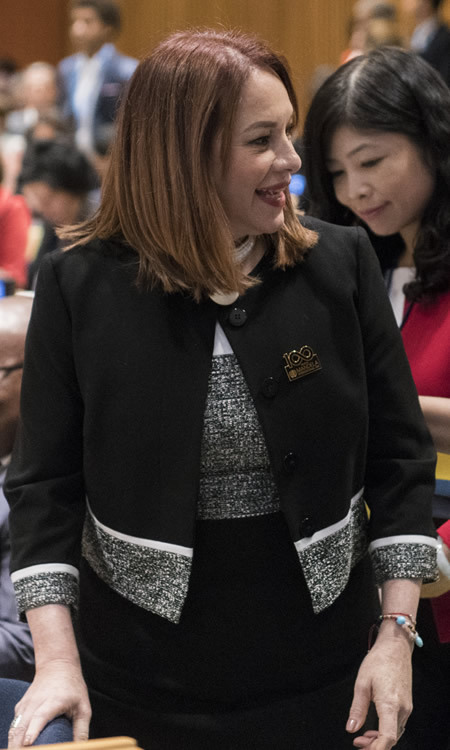 Photo: María Fernanda Espinosa Garcés, President of the seventy-third session of the General Assembly, during the high-level event on Youth2030, to launch the United Nations Youth Strategy and the Generation Unlimited Partnership organized by the United Nations Children’s Fund (UNICEF). 24 September 2018. United Nations, New York. UN Photo/Mark Garten. 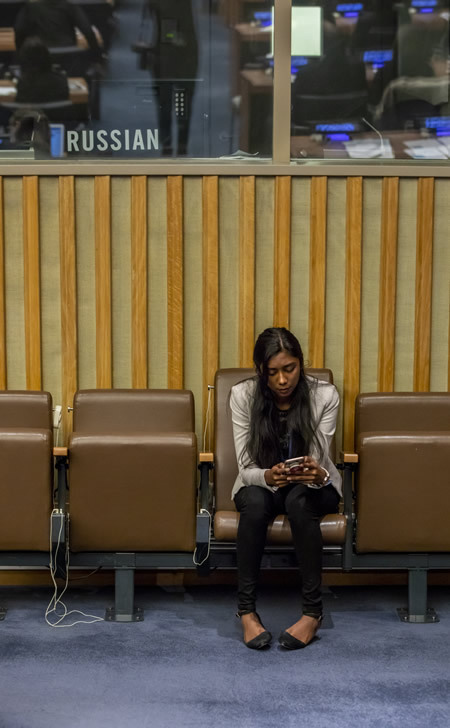 Photo: A participant of the event entitled “Stepping up Action to End Forced Labour, Modern Slavery and Human Trafficking.” 24 September 2018. United Nations, New York. UN Photo/Laura Jarriel. 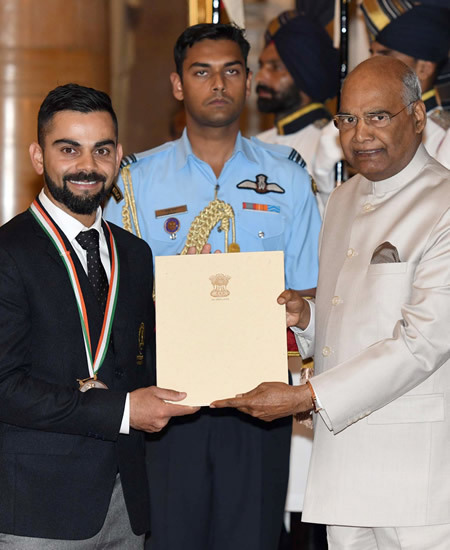 Photo: The President of India, Ram Nath Kovind, presenting the Rajiv Gandhi Khel Ratna Award, 2018 to Virat Kohli for Cricket, in a glittering ceremony, at Rashtrapati Bhavan, in New Delhi on September 25, 2018. 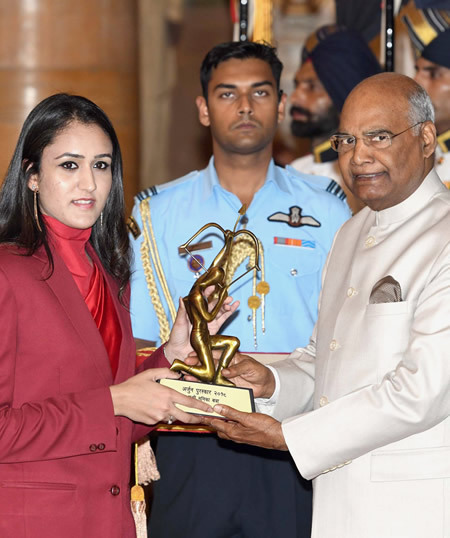 Photo: The President of India, Ram Nath Kovind, presenting the Arjuna Award, 2018 to Ms. Manika Batra for Table Tennis, in a glittering ceremony, at Rashtrapati Bhavan, in New Delhi on September 25, 2018. 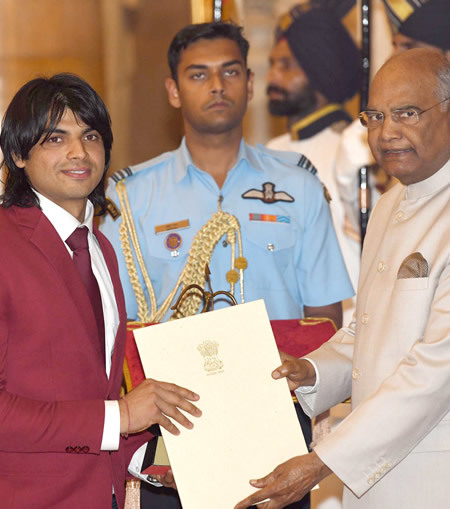 Photo: The President of India, Ram Nath Kovind, presenting the Arjuna Award, 2018 to Neeraj Chopra for Athletics, in a glittering ceremony, at Rashtrapati Bhavan, in New Delhi on September 25, 2018. Photo: The President of India, Ram Nath Kovind, presenting the Tenzing Norgay National Adventure Award to Lt. Cdr. 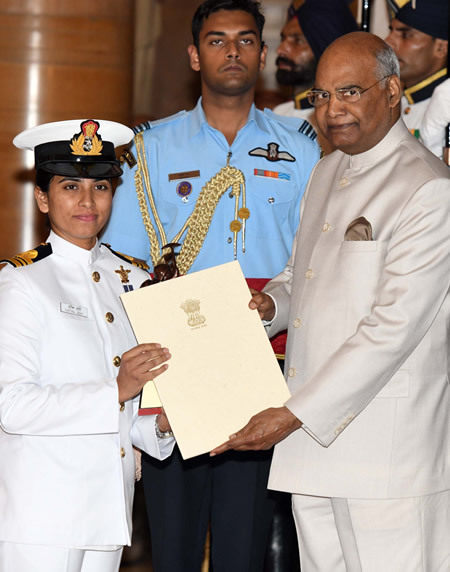 Vartika Joshi for Water Adventure, in a glittering ceremony, at Rashtrapati Bhavan, in New Delhi on September 25, 2018. Photo: The President of India, Ram Nath Kovind, presenting the Maulana Abul Kalam Azad (MAKA) Trophy 2017-18 for overall top performing university in inter-university tournaments, to Guru Nanak Dev University, Amritsar, in a glittering ceremony, at Rashtrapati Bhavan, in New Delhi on September 25, 2018. 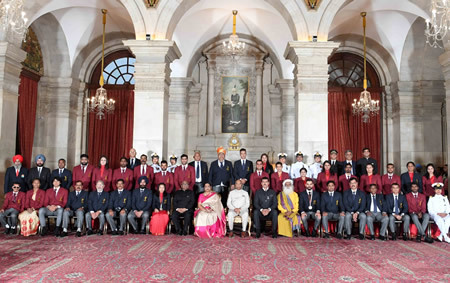 Photo: The President of India, Ram Nath Kovind, with the sports and adventure awardees, in a glittering ceremony, at Rashtrapati Bhavan, in New Delhi on September 25, 2018. The Minister of State for Youth Affairs & Sports and Information & Broadcasting, Col. Rajyavardhan Singh Rathore, is also seen. 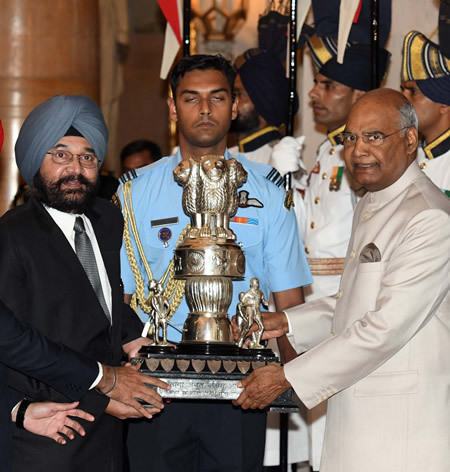 The President of India, Ram Nath Kovind, presented the National Sports Awards at a function held at Rashtrapati Bhavan today (September 25, 2018). The government presents National Sports Awards every year to recognize and reward excellence in sports. It gives Rajiv Gandhi Khel Ratna Award for the spectacular and most outstanding performance in the field of games by a sportsperson over a period of four years. It provides the Arjuna Award to s sportsperson for consistently excellent performance for four years. Dronacharya Award is for coaches for producing medal winners at prestigious International sports events. Dhyan Chand Award is for lifetime contribution to sports development. Rashtriya Khel Protsahan Puruskar is for the corporate entities (both in private and public sector) and individuals who have played a visible role in the area of sports promotion and development. The government awards the Maulana Abul Kalam Azad (MAKA) Trophy to overall top performing university in inter-university tournaments. This year, the top performing university in inter-university competitions, Guru Nanak Dev University, Amritsar, was given Maulana Abul Kalam Azad (MAKA) Trophy 2017-18, award money of Rs. 10 lakh, and Certificate. 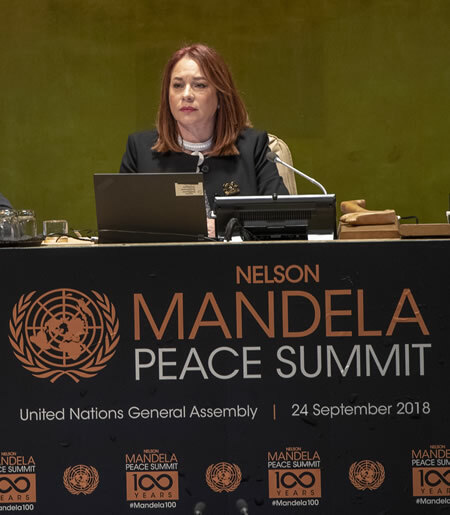 Photo: María Fernanda Espinosa Garcés, President of the seventy-third session of the UN General Assembly, during Nelson Mandela Peace Summit. 24 September 2018. United Nations, New York. UN Photo/Cia Pak. 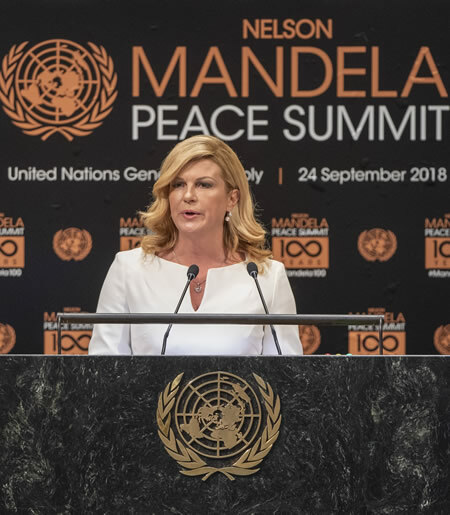 Photo: Kolinda Grabar-Kitarović, President of the Republic of Croatia, makes remarks during the Nelson Mandela Peace Summit. 24 September 2018. United Nations, New York. UN Photo/Cia Pak. 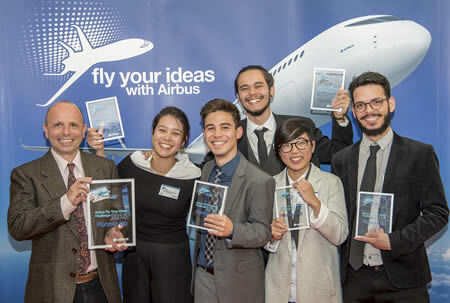 Photo: Airbus Fly Your Ideas 2015 runners-up Team Retrolley from University of São Paulo Brazil. From left: Fausto Mascia, Academic mentor University of Sao Paolo, Denise Ikuno, Lucas Otsuka, Tadeu Omae, Maki Shintate, Lucas Neumann. 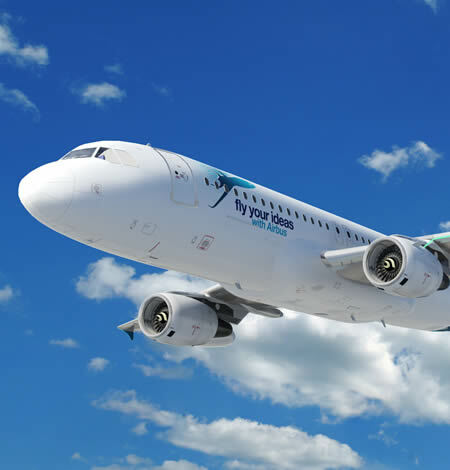 The next generation of innovators can now submit their proposals tackling one of the six challenges set out by Airbus for its sixth global Fly Your Ideas competition (Electrification, Data Services, Cyber Security, Internet of Things, Artificial Intelligence and Mixed Reality). The biennial competition is a celebration of creativity and innovation to solve real industry challenges. Open to university teams from across the world, including all disciplines from engineering and information technology to marketing and design, the competition is an opportunity for students to unleash their pioneering spirit, working at the cutting edge of digital technology alongside industry experts. UNESCO granted patronage to Fly Your Ideas in 2012. The submission phase would end on 16 November 2018. A team of Airbus specialists from across the business will review and evaluate all submitted ideas. The live final of Fly Your Ideas will be held in 2019, where students will have the opportunity to showcase their ideas to an audience of industry experts. Airbus is seeking ideas that could change aerospace in the decades to come and create a safer, cleaner and better-connected world. The competition is an opportunity for students to build valuable employment skills including teamwork, project management, and presentation skills and to apply their classroom learning to real-world challenges. 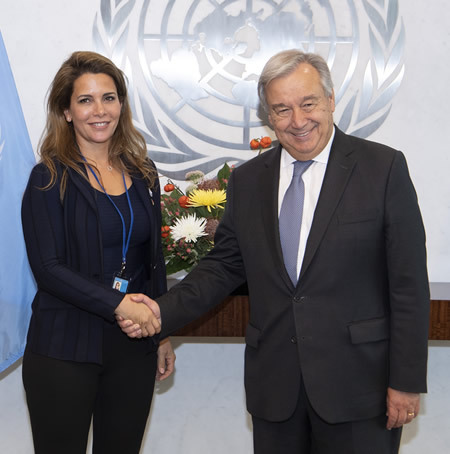 Photo: UN Secretary-General, António Guterres (right), meets with UN Messenger of Peace, Princess Haya Bint Al Hussein of Jordan. 21 September 2018. United Nations, New York. UN Photo/Eskinder Debebe. 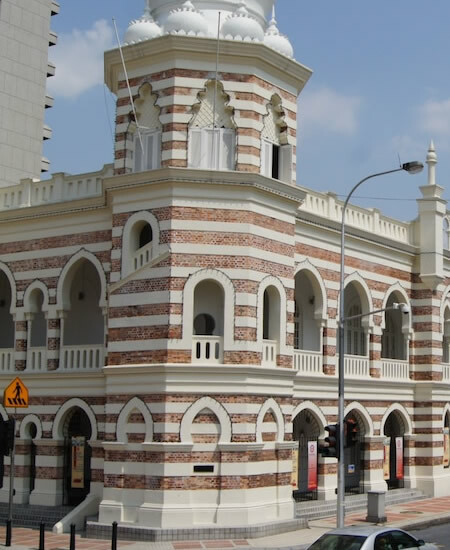 Photo: A heritage building in Kuala Lumpur, Malaysia. Kuala Lumpur has been named World Book Capital 2020. Image credit: Uwe Schwarzbach. 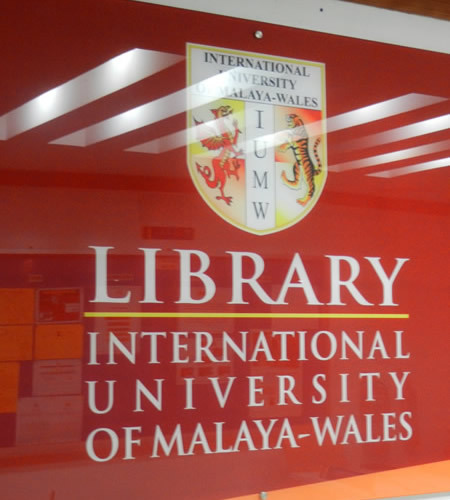 Photo: Library sign at the International University of Malaya-Wales, Kuala Lumpur, Malaysia. Kuala Lumpur has been named World Book Capital 2020. Image credit: Simon Haslett. Paris, France — Kuala Lumpur (Malaysia) has been named World Book Capital for the year 2020 by the Director-General of UNESCO, Audrey Azoulay, on the recommendation of the World Book Capital Advisory Committee. UNESCO selected the city because of its strong focus on inclusive education, the development of a knowledge-based society and easy reading for all parts of the city’s population. With the slogan “Caring through reading,” the program focuses on four themes: reading in all its forms, development of the book industry infrastructure, inclusiveness and digital accessibility, and empowerment of children through reading. Among other events and activities, there will be the construction of a book city (the Kota Buku Complex), a reading campaign for train commuters, enhancing of digital services and accessibility by the National Library of Malaysia for the disabled, and new digital services for libraries in 12 libraries in poor housing areas of Kuala Lumpur. The city’s objective is to foster a culture of reading and inclusiveness - “A city that reads is a city that cares” - emphasizing ubiquitous access to books throughout the city. The city has linked the ambitious programme for World Book Capital to the Vision 2020 for Kuala Lumpur, and the eco-city project called the River of Life with open-air bookshops and libraries populating the newly-restored waterways of the city. Cities designated as UNESCO World Book Capital undertake to promote books and reading and to organize activities over the year. As the twentieth city to bear the title since 2001, Kuala Lumpur follows Sharjah (2019), and Athens (2018). Past winners include Madrid (2001), Alexandria (2002), New Delhi (2003), Anvers (2004), Montreal (2005), Turin (2006), Bogota (2007), Amsterdam (2008), Beirut (2009), Ljubljana (2010), Buenos Aires (2011), Erevan (2012), Bangkok (2013), Port Harcourt (2014), Incheon (2015), and Wroclaw (2016). The application of the city of Kuala Lumpur was accepted by an Advisory Committee, comprising representatives of the International Publisher’s Association (IPA), the International Federation of Library Associations (IFLA), and UNESCO. New Delhi, September 20, 2018 — India’s Human Resource Development Minister, Prakash Javadekar, today addressed the “National Workshop on Graded Autonomy” organized for Vice Chancellors of Universities. The workshop has been jointly organized by Ministry of Human Resource Development (MHRD) and University Grants Commission (UGC) for providing a platform to Vice-Chancellors from around 63 universities categorized as Category I and Category II Institutions under UGC Regulations on Graded Autonomy. The senior officers of MHRD, UGC, and select State governments were also present on this occasion, besides participants from 55 HEIs. Mr. Javadekar said that UGC regulations on graded autonomy is a significant reform and the universities should fruitfully utilize this opportunity. Terming the 63 ranked universities as “cream of the cream,” he further said that the Universities need to maintain high academic standards to sustain their autonomy. Citing the example of American Universities, he said that the best universities attract the best talent from around the world and thereby make an essential contribution to the development of the country. A detailed presentation was made by Prof D P Singh, Chairman, UGC, on graded autonomy, highlighting the various aspects of UGC Regulations on Graded Autonomy which provide an enabling framework to Universities for adopting a decentralized management culture, ensuring freedom to HEIs on deciding academic issues. Presentations were made by Vice Chancellors of Banaras Hindu University, Guru Nanak Dev University, Alagappa University, BITS Pilani, Symbiosis International, Institute of Chemical Technology, and O. P. Jindal Global University, highlighting their roadmap for achieving the objectives of graded autonomy. During the open interactive session, the Vice Chancellors expressed their concerns and shared their experiences while implementing the Autonomy Regulations. The Secretary, Higher Education, MHRD, Mr. R. Subramanyam, interacted with the Vice Chancellors and assured them that his Department would appropriately address their concerns. Source: Ministry of Human Resource Development, New Delhi. Photos: For its new summer 2018 campaign, de GRISOGONO exalts women wearing its jewelry, describing them as “Sunny, free-spirited, self-confident women who set the tone for a delightfully cheerful summer.” Images provided by & Copyright © de GRISOGONO. Photo: The President of India, Ram Nath Kovind, launching the logo for the commemoration of the 150th Birth Anniversary of Mahatma Gandhi, at a function, at Rashtrapati Bhavan, in New Delhi on September 18, 2018. New Delhi — September 18, 2018 — The President of India, Ram Nath Kovind, launched the logo and the web portal for the commemoration of the 150th birth anniversary of Father of the Nation, Mahatma Gandhi, at Rashtrapati Bhawan today. The Government would do Logo Branding in Trains, Metro Rail, Air India Aircrafts, State Roadways Buses, Government websites, E-mails, Government stationery, calendars, diaries, Government advertisements & publicity material, and digital signature. The Public Sector Undertakings, subordinate/attached offices, and autonomous bodies under the Government of India would also use the logo. The two-year-long celebrations from 2nd October 2018 to 02nd October 2020 will be held across the country and all over the globe to mark the 150th birth anniversary of Mahatma Gandhi. Accordingly, all Ministries/Departments of the Government of India and all State/UT Governments have initiated branding actions in their Ministries/Departments. Source: Ministry of Culture, Government of India. 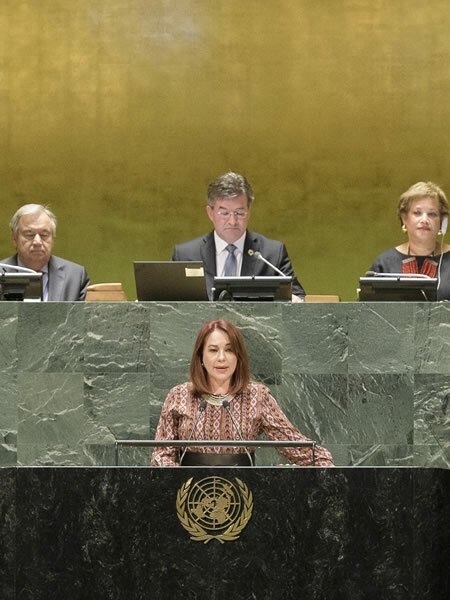 Photo: María Fernanda Espinosa Garcés, President-elect of the seventy-third session of the UN General Assembly, addresses the closing plenary meeting of the seventy-second session of the General Assembly. Behind her at the dais is (left to right): Secretary-General António Guterres; Miroslav Lajčák, President of the seventy-second session of the General Assembly; and Catherine Pollard, Under-Secretary-General for General Assembly Affairs and Conference Management. 17 September 2018. United Nations, New York. UN Photo/Manuel Elias. Photo: Polar Satellite Launch Vehicle (PSLV-C42) of Indian Space Research Organisation (ISRO) lifting off from the Satish Dhawan Space Centre (SDSC) SHAR, Sriharikota, Andhra Pradesh, India, on September 16, 2018. The Polar Satellite Launch Vehicle (PSLV-C42) of Indian Space Research Organisation (ISRO) successfully launched two satellites — NovaSAR and S1-4— from the Satish Dhawan Space Centre (SDSC) SHAR, Sriharikota today. The satellites belong to UK-based Surrey Satellite Technology Limited (SSTL), which has a contract with Antrix Corporation Ltd, the commercial arm of ISRO. NovaSAR carries S-band Synthetic Aperture Radar (SAR) and an Automatic Identification Receiver payloads. The satellite applications include forestry mapping, land use and ice cover monitoring, flood and disaster monitoring, and maritime missions. SSTL’s Spacecraft Operations Centre in Guildford, UK will operate it. Preparations for the PSLV-C42 began at Sriharikota in mid-July with the process of vehicle integration setting the tone for the launch. Many centers of ISRO contributed to this mission with the vehicle being designed and developed by Vikram Sarabhai Space Centre, Thiruvananthapuram. The second and fourth stage liquid engines came from Liquid Propulsion Systems Centre, Thiruvananthapuram and ISRO Propulsion Complex, Mahendragiri, Tamil Nadu. The vehicle’s guidance system is from ISRO’s Inertial Systems Unit, Thiruvananthapuram, while SDSC SHAR was responsible for the solid motor preparation, vehicle integration and launch infrastructure. ISRO’s Telemetry Tracking and Command Network provided tracking support. ISRO Chairman Dr. K. Sivan congratulated the team soon after the successful mission. “I am delighted that the PSLV-C42 precisely launched two of our customer satellites at 583 km orbit. It was a unique night mission executed for the first time by us. The PSLV has proven yet again as a user-friendly vehicle in all aspects. The credit goes to the entire ISRO team and industries. We are going to have 18 missions in the next six months, virtually one launch every two weeks,” Dr. Sivan said. 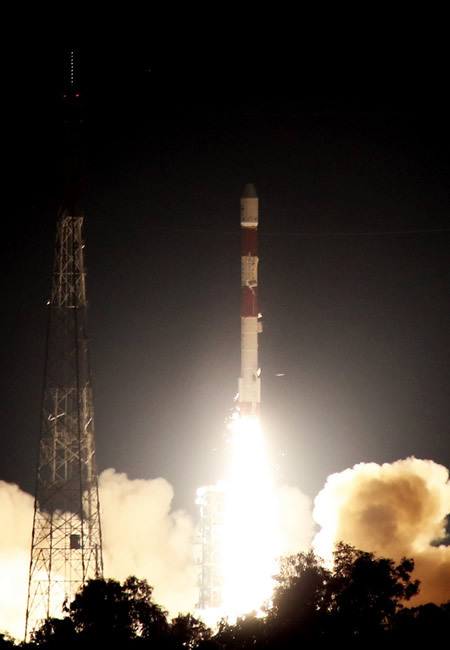 “The PSLV-C42 marks the latest technology and commercial collaboration between India and the UK with the launch of the combination of high resolution optical and radar (SAR) satellites from us,” said Sir Martin Sweeting, Group Executive Chairman, SSTL. As on date, ISRO has launched 239 foreign satellites from 28 countries. Source: Department of Space, Government of India. 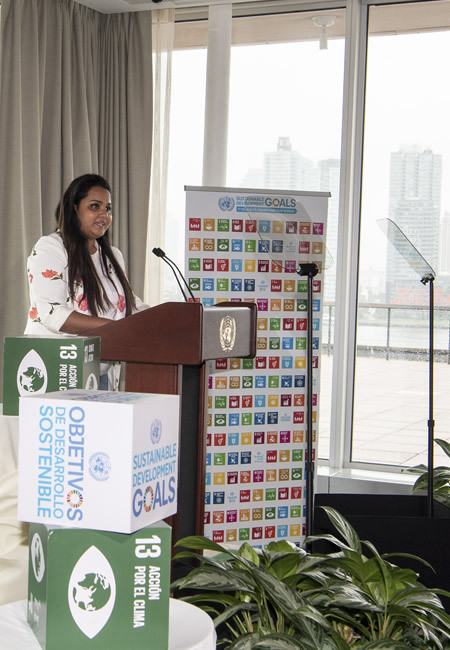 Photo: Jayathma Wickramanayake, Secretary-General’s Envoy on Youth, makes her remarks following UN Secretary-General António Guterres’s comments on climate change. Mr. Guterres has issued a strong warning about the dangers we face from Climate Change, stressing the urgency of the crisis and the risks of inaction. Mr. Guterres has also outlined his vision for the 2019 Climate Summit. 10 September 2018. United Nations, New York. UN Photo/Eskinder Debebe.